The Victoria Falls Hotel is synonymous with genteel relaxation, yet the hotel is so centrally placed it is perfectly positioned to enjoy all there is to offer in Victoria Falls, from cruises and visits to the Victoria Falls rainforest to the extreme heart racing adrenaline activities. Bridge Tour. Enjoy a theatrical and entertaining explanation given on the history of The Victoria Falls Bridge. 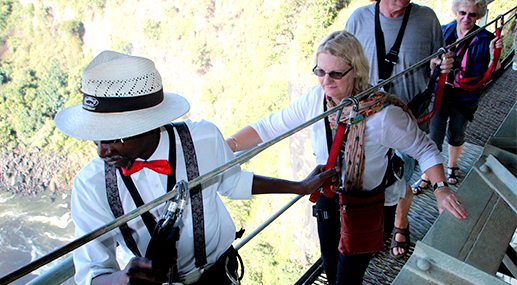 Guests are fitted with safety equipment and can walk under or on top of the bridge. The Bushtracks Express. 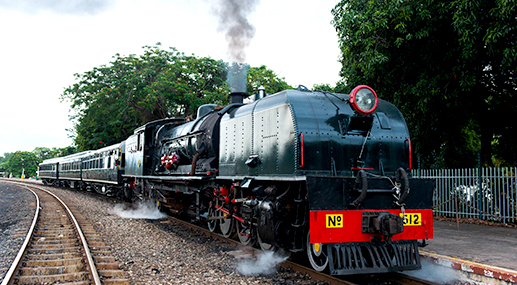 Enjoy a sunset dinner on the steam train that takes you back in time to when Cecil Rhodes imagined a crossing point where one can enjoy the sunset and a view of the spray from the Victoria Falls. The scrumptious treats are supplied by our own Victoria Falls Hotel kitchen. 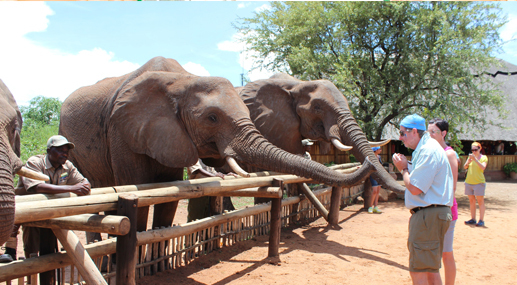 Visit the Victoria Falls rainforest. The Victoria Falls Hotel has its own walkway down to the rainforest entrance making it an 10 minutes stroll away. Enjoy the Falls on your own steam or with a guide. The entrance fee can be paid in cash or by credit card. 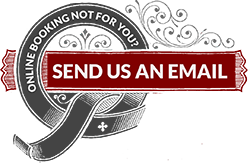 We recommend you walk in comfy shoes that you don't mind getting wet. Enjoy an evening of African entertainment at The Dinner and Drum show. 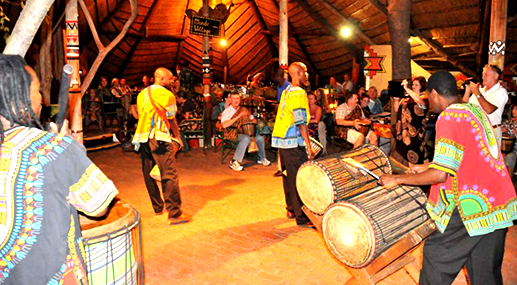 Traditional African cuisine followed by a drumming session is a fun way to end off the day. 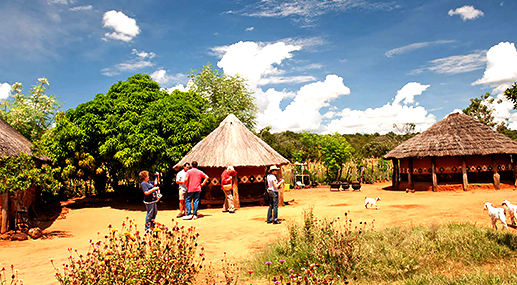 Meet the people of Victoria Falls and have a home hosted lunch. 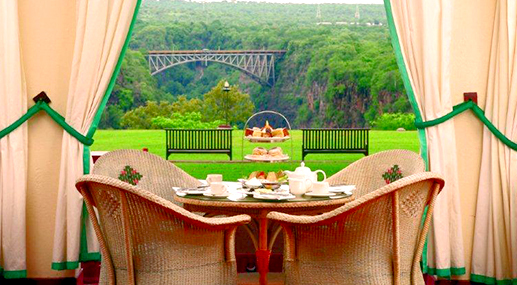 High Tea at The Stanley Terrace at Victoria Falls. Enjoy scones, jam and cream and other delights washed down with the tea of your choice. This is an old fashioned indulgence. 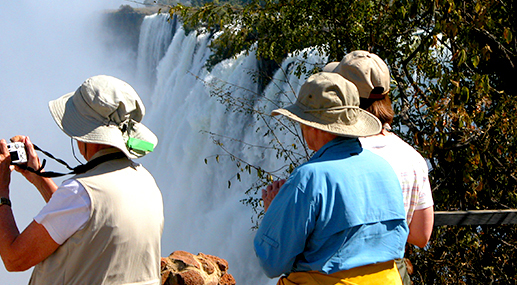 A Zambezi River cruise is the iconic Victoria Falls activity. 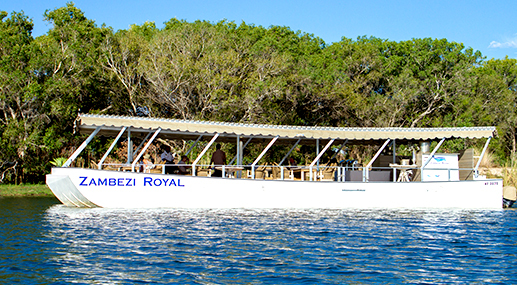 A leisurely cruise on the luxury Zambezi Royal with drinks and delectable snacks celebrating the end of another glorious African day... what could possibly be better?